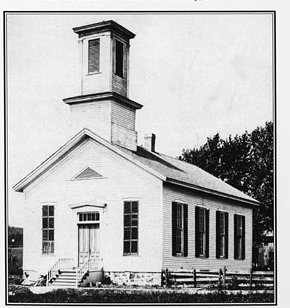 From "The history of the Town of Mount Vernon : sesquicentennial celebration, 1846-1996"
Notes: The Baptist Church built in 1869 stood at the edge of the community square on Jackson Street in the village of Mount Vernon. 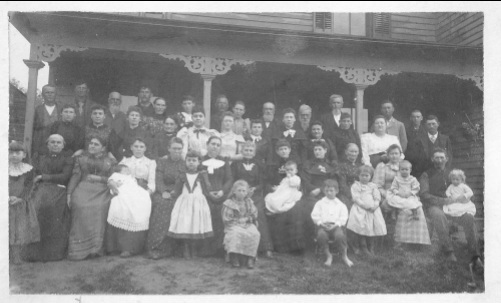 The original congregation had some 60 members. By 1946 the church had been struggling and was closed and used only for the occasional funeral and yearly homecoming service that was held the first Sunday in June. In 1954 the church was struck by lightning and partially burned. At that time there were only 4 remaining members. The remainder of the building was raised and a stone monument erected as a memorial. Several artifacts from the church survive and are in the holdings of the Mount Horeb Area Historical Society. Of note is the fact that individuals joining the congregation were baptized in the nearby Sugar River.